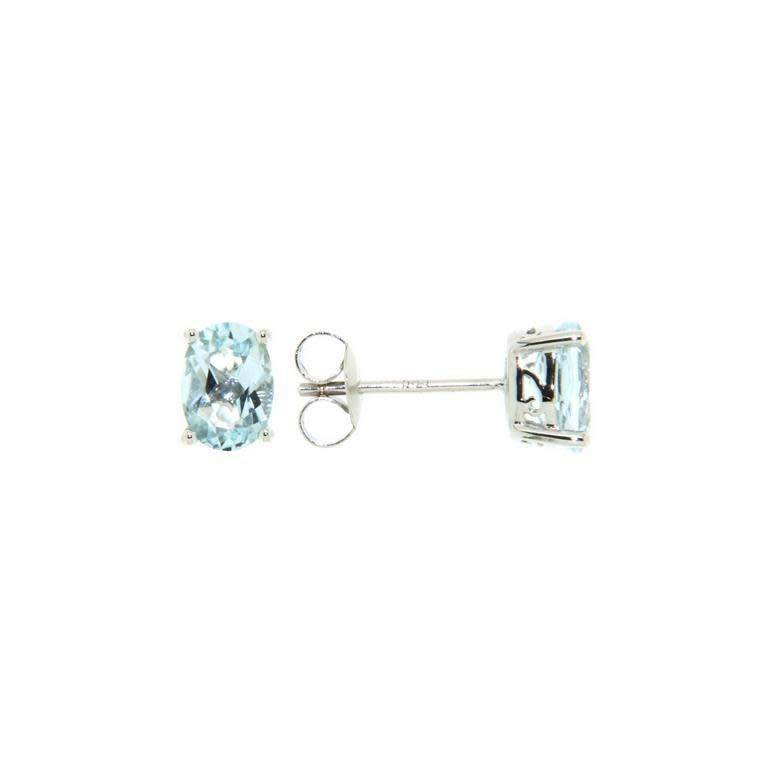 Ladies aquamarine stud earrings of classic styling. The earrings are crafted in 14k white gold and are set with two oval cut aquamarines. They are four-claw set in basket heads and secure with post and butterfly backings.